Home > About > Blog > News > Happy 10th Anniversary Endeavour! 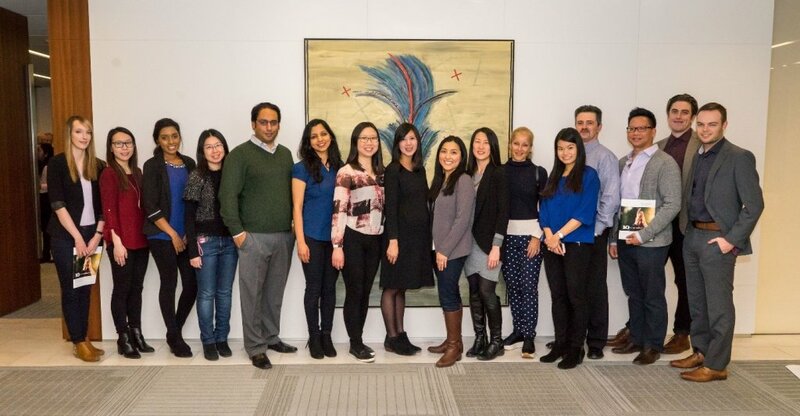 Endeavour celebrated its 10th Anniversary at the KPMG offices on November 17th, 2017. It was a warm and fun evening filled with our wonderful community of volunteers, clients, and partners. We reconnected with old friends and made new ones – it’s really exciting to see how much we’ve grown. Check out this short video of the event, hosted by our Board Chair, Murray Glow and Board Member, Tka Pinnock. 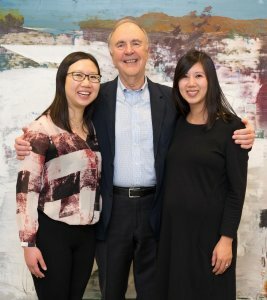 As new graduates, Endeavour was a project born out of Andrea and Ada’s passion to put their newly honed skills to work, helping those who could not afford to pay for professional consulting. When I joined the operations team in 2008, I was amazed at how organized and resourceful this small team was after only one round of projects! 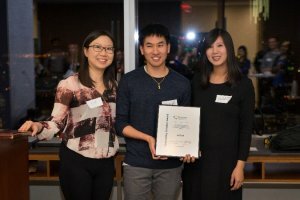 Although it was (and still is) run entirely by volunteers, everyone is truly dedicated to growing Endeavour to be a best-in-class organization providing skills-based volunteering opportunities and pro-bono services. I have learned a lot from Andrea, Ada, and all of our volunteers, and truly appreciate working alongside such ambitious, hardworking, and inspirational leaders. Congrats on achieving this 10-year milestone! Throughout the past decade, Endeavour has made an impressive impact on the non-profit community. 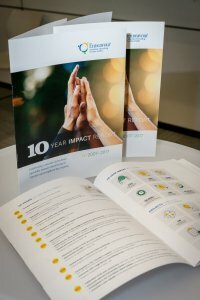 Our 10 Year Impact Report is fresh off the press and can be found here. 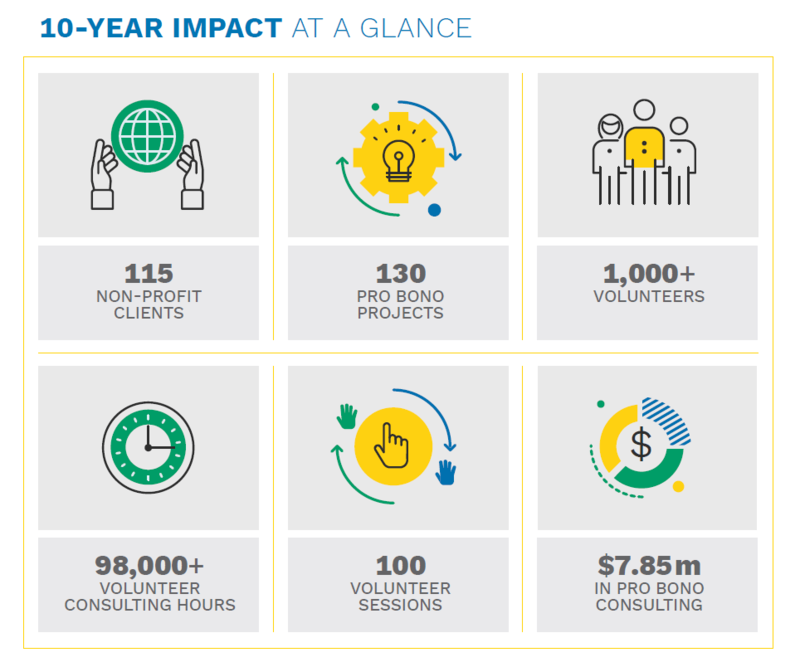 It is rare that we take time out of our everyday operations to reflect on the impact we’ve made in the community and the number of people and non-profits we’ve touched. This evening was a celebration of that and an opportunity to thank those who have put in the effort and time all these years. 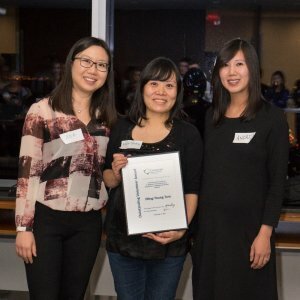 We were proud to present some awards to our most dedicated volunteers and partners who donated so much of their time and knowledge to our consulting teams. Thank you to everyone who attended our celebration! Here’s to another 10 fantastic years! See more photos from the event in our gallery.